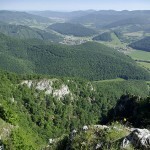 Natural resources include particularly the Slovak mountains and mountain ranges, downs and lowlands. 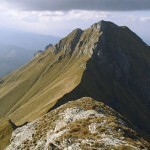 Many of the Slovak mountains fall into the category of national parks (Original image) or protected landscape areas. Almost all of these contain protected natural attractions. All the areas mentioned are considered to be recreational areas with infrastructure and functioning services for visitors. 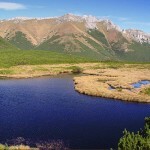 Slovakia may be proud of its water surfaces that also create a part of the country’s natural beauty. 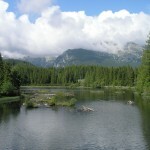 Slovakia’s natural recreational attractions include numerous water surfaces, which at least partially make up for its lack of oceans. Often located in national parks, natural lakes are protected by the state and offer a beautiful backdrop for mountain trekking. They are water-filled basins, concaved in the valley bottoms by glaciers. 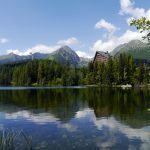 There are about hundred-plus mountain lakes in the Tatras. However, these lakes are protected and not used for recreational purposes. • and Hincove Plesá Mountain Lakes, Prešov Region. Artificially-constructed water surfaces form a substantial part of the water surfaces in Slovakia. 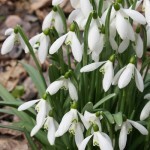 Generally, these include dams, various reservoirs or ponds. 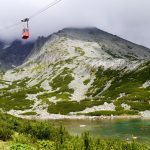 Almost all of these are accessible with infrastructure and services, and can therefore be regarded as fully-fledged recreation areas, which belong among the most popular tourist attractions in Slovakia, sought by tourists throughout the summer period. They are an ideal place for swimming, water sports, camping and social events such as summer music festivals. • Zelená voda, Green Water, Trenčín Region. 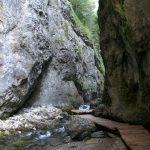 Amongst the visually most interesting and most valuable natural riches in Slovakia are its caves and caverns, which include many different and unusual types of karst formation. 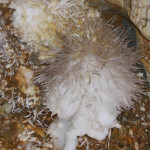 Water penetrating inside the limestone mountain ranges and plateaux has created a spectacular underground world, an intricate network of cave corridors, domes and halls adorned with multicoloured dripstone decoration of astonishing and compelling beauty. 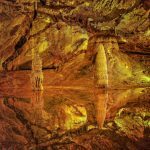 While once only Slovak cavers penetrated this world of eternal darkness, today an increasing number of caves have been opened to the public as tourist attractions. 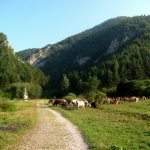 Despite this a significant amount of Slovakia’s karst underground formations still remains hidden, awaiting exploration by a narrow circle of expert speleologists. 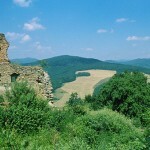 Over 5,350 caves are known in Slovakia, including shorter overhang type of caves. 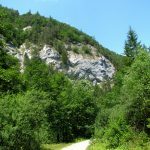 Most caves are registered in Slovak Karst National Park, Low Tatras National Park, Slovak Paradise National Park and Muráň Plateau National Park. The caves are formed mainly in Mesozoic Triassic limestone, less in travertine, and sporadically also in other less soluble rocks. Over 180 caves are created from non-karst rocks (andesite, basalt. volcanoclastic, sandstone, quartzite, granite, schist and quartz). The largest cave system, over 35 kilometres long, is at Demänovská. 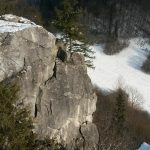 It consists of the Pustá jaskyňa (Barren Cave), the Demänovská jaskyňa slobody (Demänovská Cave of Liberty), the jaskyňa Vyvieranie (Vyvieranie Cave), the Demänovská jaskyňa mieru (Demänovská Cave of Peace), the Demänovská ľadová jaskyňa (Demänovská Ice Cave) and other minor caves. 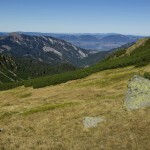 The deepest are Hipmanove Jaskyne (Hipmanove Caves, called Starý hrad-Old Castle and Večná robota-Eternal Labour) in Krakova hoľa in the Low Tatras, with a vertical range of 495 metres. 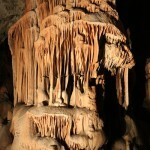 As many as 44 caves and caverns in Slovakia have been declared national natural monuments. • Bojnická Castle Cave, Trenčín Region.